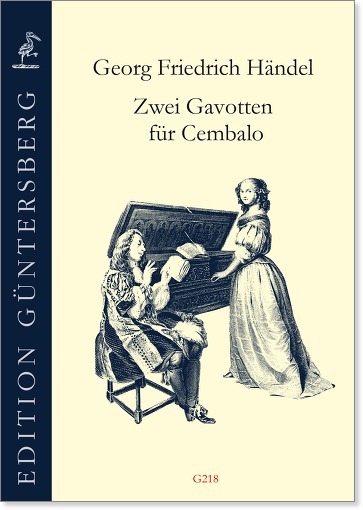 In this edition we present two charming Gavottes which were very popular during the eighteenth century and are still of great musical interest today. These particular settings for the harpsichord are ascribed to G.F. Handel. The first comes from the overture to Handel’s opera Ottone (1723): in this setting with two variations it became known as the “Gavott in Otho”. The second is a Gavotte en Rondeau with 17 variations on a subject originally composed by Henry Purcell. 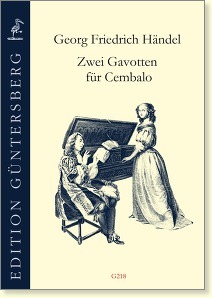 In his detailed introduction Graham Pont presents the history of these works and the evidence for attributing the variations for harpsichord to Handel himself.